Skylark Blog: Are you Forgetting an Important Benefit when Dividing Retirements in Divorce? Are you Forgetting an Important Benefit when Dividing Retirements in Divorce? Retirement Benefits are often one of the largest assets in a marriage. That makes them particularly important to consider in a divorce. We've previously covered the 5 Things you Should Include in a Divorce Agreement when Dividing Retirement Accounts, but we barely scratched the surface when it comes to the different options you might see in more complicated retirement plans. It is always essential to review the Summary Plan of any retirement account to ensure that you (or your attorney) understand all the benefits and limitations that surround that plan, before trying to divide it. When the plan is a defined benefit plan, one of the most important and often misunderstood details is how to divide the survivor benefit. 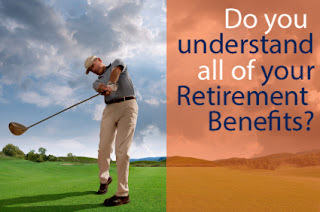 A defined benefit plan, also typically referred to as a pension, is a plan that has a defined amount that will pay out (usually monthly) for the participant's lifetime (instead of a total amount that could run out, like an IRA). This creates additional questions when dividing these types of accounts because the exact value of the eventual benefit is not an exact number. It can be estimated based on the participant's lifetime but there is no way to know for sure how long the participant will live. In fact, to address this possibility most plans have survivor benefits to provide an alternate benefit to a survivor who dies young. It wouldn't be fair for someone to have built up a retirement over many years of service and then have their family receive nothing just because they died young. Unfortunately, though, when a participant divorces that exact scenario sometimes happens because parties fail to address the survivor benefit, and more particularly some people fail to assign the "pre-retirement survivor benefit." Unlike a 401k or IRA that usually allows a participant to assign a beneficiary to receive the funds remaining in the account upon death, a pension usually has the option to assign a benefit only to a surviving spouse. Once benefits commence for a participant who is married they may have a choice to define a post-retirement survivor annuity. There may be multiple levels of survivor benefits and they typically reduce the lifetime benefit of the participant. This means that if the parties in a divorce agree to a survivor benefit for an ex-spouse then the parties will receive less during the participant's lifetime. This cost should be addressed in the divorce agreement because it can be shared or it could just reduce the portion of the lifetime benefit to the alternate payee ex-spouse. This post-retirement survivor benefit may be a contentious discussion in a divorce because the participant may not want to receive less during their lifetime to provide for an ex-spouse after their death. The other survivor benefit, however, does not have this cost. The pre-retirement survivor benefit does not cost the participant anything because if it pays out it means that the participant died prior to their lifetime pension payments starting. Even if the parties decide, due to the exchange of other benefits or assets during the divorce, that they are not dividing the lifetime benefit portion of a pension, they should still consider assigning the pre-retirement survivor benefit. A court order (known as a QDRO or DRO) can be created to assign only this portion of the retirement benefit if that's all the parties agree to assign. If the pre-retirement survivor benefit is not assigned in the divorce, and the participant dies before receiving any pension payments, then the pension may be entirely lost. It wouldn't make any sense for a participant to completely lose this benefit just because they divorced, especially since it doesn't cost them anything extra. Of course, if the participant remarries they may want their new spouse to be the survivor beneficiary and receive any pre-retirement survivor benefit. This is something that should be discussed as part of the division of assets in a divorce, and negotiated if there is disagreement. It is sometimes possible to create an order that assigns the pre-retirement survivor benefit to an ex-spouse only until the participant remarries. This requires careful and thoughtful crafting of an agreement. Being detailed about these provisions, however, should never prevent people from addressing them. It doesn't make sense to simply ignore the pre-retirement survivor benefit. Neither the participant nor their ex-spouse has any motivation to take the risk that the pension is lost entirely adding insult to tragedy in the event of a participant's early death. At Skylark Law & Mediation, PC we prepare QDROs, DROs and provide consulting services for evaluating, negotiating and writing agreement provisions for retirement plans. Click here for more information about those services.